10:10 a.m., Dec. 3, 2009----James A. Inciardi, co-director of the Center for Drug and Alcohol Studies at the University of Delaware and professor of sociology and criminal justice, died Nov. 23,, after a prolonged and courageous battle with multiple myeloma. Born in Brooklyn on Nov. 28, 1939, Dr. Inciardi spent his youth and young adulthood in New York City and its boroughs. Wherever he lived and worked in later years, New York City remained central to his identity. He graduated from Fordham University and had an early and varied career as a jazz drummer and parole officer for the city of New York. In the late 1960s, he went to work for Carl Chambers at the New York State Narcotic Addiction Control Commission and entered graduate school at New York University. When he completed his Ph.D. in 1973 from NYU, he had already relocated to the University of Miami, continuing to work with Chambers in the Division of Addiction Sciences in the Department of Psychiatry at the University of Miami. He held several research and academic positions at the University of Miami in the early 1970s, including director of the National Center for the Study of Acute Drug Reactions at the University of Miami School of Medicine. During this period, he worked with Chambers, Harvey Siegel, John Ball and others on an important series of studies on narcotics addicts and the process of addiction. At this time, he also began a series of studies examining the associations between drug use and criminal activity, and this work would form the core of his scholarly activity for much of his professional career. Dr. Inciardi relocated to the University of Delaware in 1976, and UD became his academic home for the remainder of his career, though he maintained a professional connection with the University of Miami as well. He was promoted to professor at UD in 1979. For many years (1976-1991), he was the director of Criminal Justice in the Department of Sociology and Criminal Justice at Delaware, and he became renowned as a teacher of criminal justice, leading to the publication of his popular textbook on criminal justice, now in its ninth edition. Beginning in 1976, Dr. Inciardi had a remarkable unbroken record of funding from the National Institute on Drug Abuse (NIDA), including 21 awards for which he was principal investigator. More impressive than the number of grants was the breadth and depth of his scholarly activity and the impact his work had on the field and on policy and program development. His studies began with the criminal involvement of drug abusers and the ethnography of street addiction in various subpopulations, and later moved to studies of drug abuse treatment for criminal offenders. 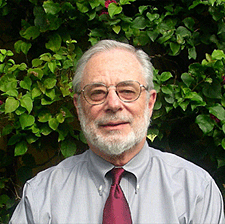 With the arrival of AIDS and its disproportionate concentration among drug using populations, his research focus shifted to the epidemiology of HIV infection and transmission, and later to the development and evaluation of effective HIV prevention and treatment programs for both street and criminal justice populations. In all of his studies of drug involvement, criminal justice and HIV, his work moved from careful observation, to hypothesis testing, and then to clinical trials of novel ways to address these problems. His work led to the creation of the KEY/CREST Therapeutic Community continuum of treatment for drug involved offenders in Delaware, which became a national and international model for criminal justice treatment. His later work on HIV interventions with high-risk populations led to programs that have been instituted in probation and community settings in the U.S., Brazil and the Virgin Islands. In addition to his steady work with NIDA, he conducted important studies for the Centers for Disease Control and Prevention, the Center for Substance Abuse Treatment and Denver Health and Hospital Authority. Up to the time of his death, he was actively working on studies of prescription drug abuse and diversion, case management for vulnerable women and a new ethnography on ecstasy use in Brazil. His work was recognized by awards from the American Society of Criminology, the Academy of Criminal Justice Sciences and the Drug and Alcohol Section of the American Sociological Association. Dr. Inciardi was an active member of the College on Problems of Drug Dependence, and a former member of the Internal Advisory Committee, Executive Office of the President, Office of National Drug Control Policy. In 1994, he received the Outstanding Scholar Award from the University of Delaware and was awarded a Merit Grant from the National Institute on Drug Abuse, and in 1995 he was named a fellow of the American Society of Criminology. In 1991, Dr. Inciardi founded the Center for Drug and Alcohol Studies (CDAS) at the University of Delaware within the Department of Sociology and Criminal Justice in the College of Arts and Sciences. The mission he established for CDAS is the production, dissemination and utilization of scientific knowledge in preventing and treating substance abuse and other health risk behaviors among hard-to-reach populations of youths and adults. Over the years, the center has grown in both size and in the scope of its studies. It now has major administrative research offices in Newark and Coral Gables, Fla., and satellite research offices in Wilmington, Miami and Porto Alegre, Brazil. The center has acted as a magnet for other state, national and international studies related to substance abuse and health. The center now comprises funded studies by many other investigators in Delaware and Florida, as well as collaborative efforts with national and international scholars. CDAS has the largest portfolio of social science research at the University of Delaware. The center supports a number of graduate students, faculty associates and part-time researchers as well as its full-time staff. Dr. Inciardi remained a very active co-director of the center till his death. In the last several years, he focused on directing the Coral Gables Research Office of CDAS, and on developing a research program to examine the rise in the abuse and diversion of prescription drugs. During his long scholarly career of more than 40 years, Dr. Inciardi published more than 500 articles, chapters, books and monographs in the areas of substance abuse, criminology, criminal justice, history, folklore, public policy, AIDS, medicine and law. His scholarly publications included several seminal papers on the epidemiology of crack cocaine use, as well as the effectiveness of prison-based substance abuse treatment for drug-involved offenders. This body of scholarly work will be an enduring memorial to him. He was a revered colleague and engaged in extensive consulting work both nationally and internationally. Even more important than his professional work is the living memorial that remains among his professional friends and colleagues. He was a “translational scientist” long before the term came into vogue, interested in moving ideas into tested strategies and then disseminating the knowledge and practices for use in real-world settings. He knew how to collaborate, motivate research teams and mentor young scholars and to always share credit for accomplishments. Generations of research scientists have been affected by his written work and generous inclusion in his professional work. He did not like bureaucracy or process but was a master at dealing with both. He could move effectively and communicate clearly with academic, professional and government audiences. In the process he built a wealth of friends in university settings, departments of correction, and government agencies such as NIDA, SAMHSA, CDC and ONDCP. They will miss him and strive to carry on his work. Personally, Dr. Inciardi loved jazz, scuba diving, traveling and collecting art from Latin America. Although his battle with cancer curtailed many of these activities in recent years, he remained remarkably positive and upbeat, and never gave up hope in his fight. He is survived by his wife, collaborator and partner, Hilary Surratt, and by his three children, Craig, Brooks and Kristin. He is also survived by his sister, Anne Cifu, his daughters-in-law, Joan and Lynne, and his grandchildren, Allegra, Brooks, Anastasia and Alessandra. A funeral mass was held at St. Augustine Catholic Church in Coral Gables on Nov.25.. A memorial service at the University of Delaware is being planned for February 2010. Contributions can be made to a memorial scholarship fund being established at the University of Delaware.